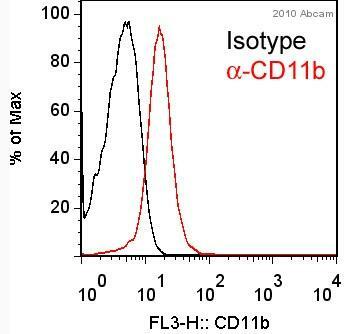 Is product ab91145 cross-reactive with mouse CD11b? 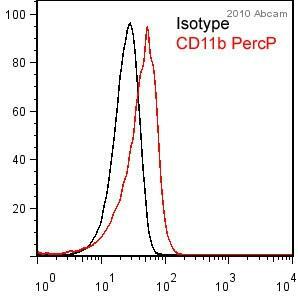 Unfortunately, the exact epitope recognized by product ab91145 has not yet been mapped, so it is not possible to accurately predict cross-reactivity of this Ab with mouse CD11b. 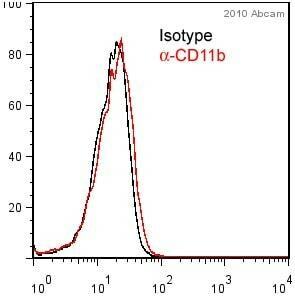 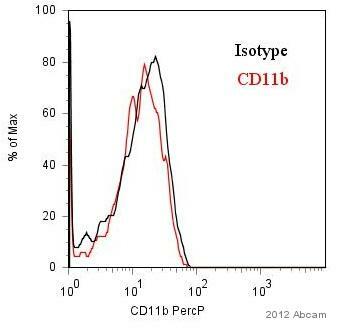 However, the human and mouse CD11b sequences show approximately ˜70% homology. 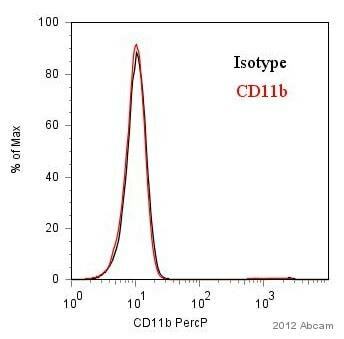 Unfortunately, researchers have previously reported poor results using this Ab with mouse, rat, monkey, and dog samples - please see the Abreviews below for this data. 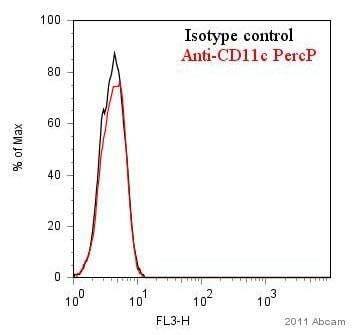 While it is possible that product ab91145 may cross-react with mouse CD11b, this is not guaranteed, and significant optimization may be necessary. 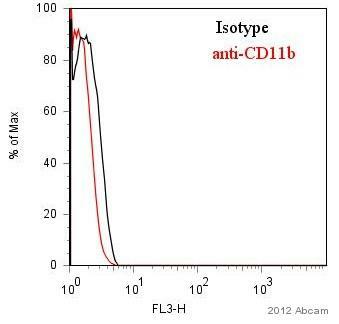 The information and results we currently have suggest that this product does not provide good results with mouse samples.